Gugulethu Mkhize is our senior scientific grants manager. She has completed a BSc (Honours) from University of KwaZulu-Natal. She has also completed a MSc at Wits University in Johannesburg in collaboration with the The Agricultural Research Council (ARC). After her studies, she has worked as a research scientist and as a research manager at the Perinatal HIV Research Unit (PHRU) at Wits under the leadership of Prof. Glenda Gray (current SAMRC President). At PHRU, Gugulethu specialised in grants management and was responsible for many successful NIH grants. She is specialised in the scientific management part of grants applications and work very close with PIs to apply competitive grants applications. At KRISP, she has gained further experienced and successfully help the application of grants to the European Commission, NIH, NRF, SAMRC, TIA and other national and international funding agencies. 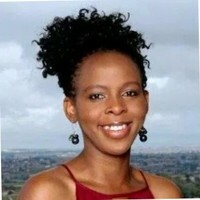 Gugulethu is also a runner and enjoy exercising with her family and friends at the Durban beach front.